The Casio watch can clearly be seen when Neckbone checks the time. In the movie Mud, the young actor Jacob Lofland, who plays Neckbone, wears a Casio F108WH-1ACF watch. 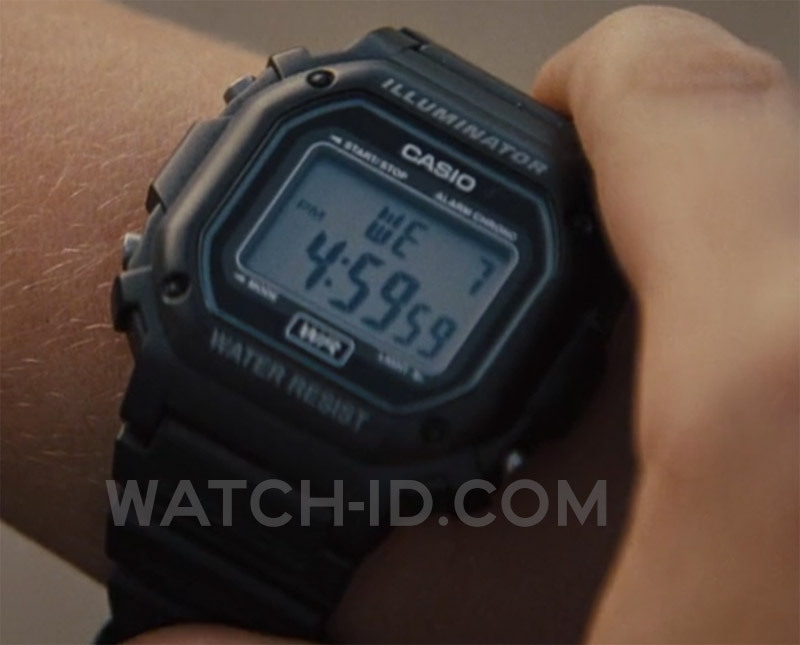 The watch can clearly be seen when Neckbone checks the time when he and his friend Ellis are picking up Juniper (Reese Witherspoon) at the Motel. 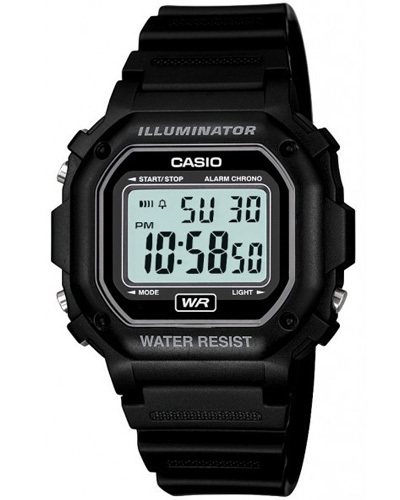 The Casio F108W has a resin case and strap, and features backlight, stopwatch, day/date, alarm and 30m water resistance. This Casio is part of the Classic collection and is still available, in many colors, although the black version (modelnumber F108WH-1ACF) is more difficult to find. Get the black version on Amazon.com, Amazon.co.uk or eBay.